Duplex printing refers to printing on both sides of paper. This saves paper and makes large prints more manageable, but does not save you printing costs. For instance, a 30 page print will print duplex on each side of 15 pages of paper, but cost $0.07 per SIDE to print (or 30 x 0.07, the same as printing 30 single-sided pages). All Dell public lab printers are capable of duplex printing. If you want to set the printer to automatically print duplex for you, you must do so every time you log into a computer. Once logged in, WAIT for your printers to connect. To see their progress, go to "Start Menu" -> "Devices and Printers". 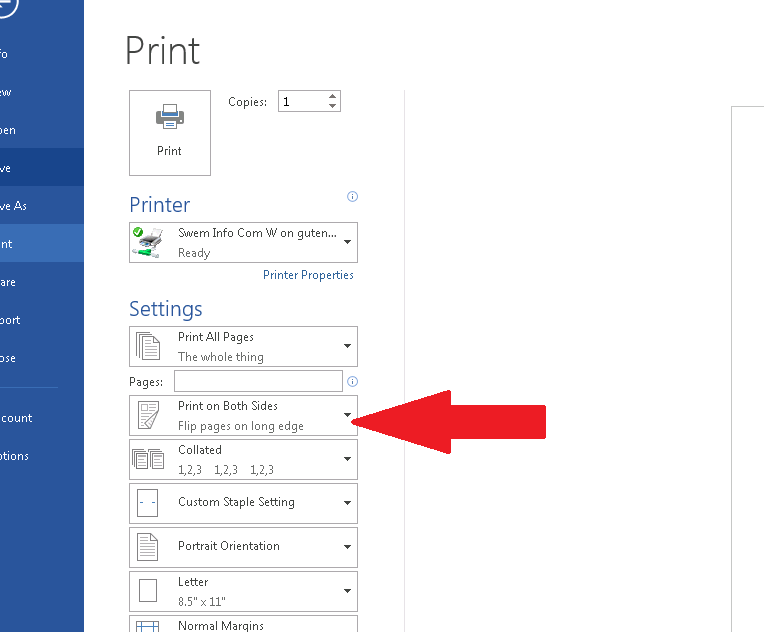 Once the printer you are interested in appears, right-click on it and choose "Printing preferences" from its context menu. Click "OK" to save these settings. 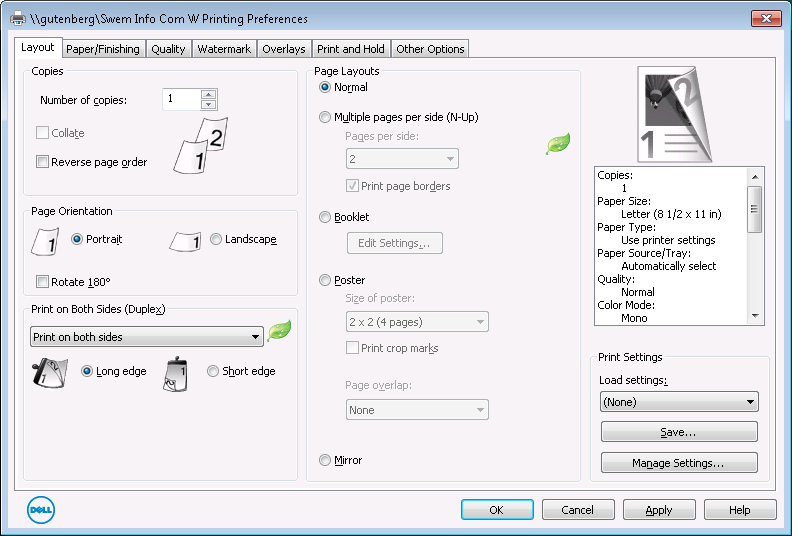 Now, whenever you print anything, it will automatically duplex it.